What follows is the beginning of a work in progress; any and all questions, suggestions and corrections are heartily encouraged. It is dedicated to my Sisters and Brothers in the Hermetic Brotherhood of Light. The student of Enochian magick is initially faced with the often-bewildering complexity of its structure. Studying the published manuscript records of John Dee and Edward Kelly can be more confusing than helpful and often yields information that is at variance with the chief expositors of the system: the Golden Dawn and Aleister Crowley. The Golden Dawn system offers elegant solutions to many of Enochian magick’s seeming incongruities, but these often differ with instructions given by the Angels in Spirit Actions received by Dee and Kelly and sometimes with essential details in the delivered materials themselves. Later reconstructionists such as the Aurum Solis and Donald Tyson address some of these problems but leave many of them unsatisfactorily resolved. It is the purpose of this work to analyze this material and explain it in a useful and coherent manner for the use of both the student of the system and the practicing ceremonial magician. The system of the 301 Aires2 includes a substructure of Governors3 and Parts of the Earth by which it is intimately tied to the Watchtower structure, and these in turn are correlated to the 12 Tribes of Israel and a system of angelic governance, peculiar to Enochian magick. This twelve-fold angelic rulership is the key by which the astrological associations are related to the parts of this aethyric system. The Keys of Calls form the introduction and a part of this structure but also provide a further intersection with the Watchtower hierarchies that are, metaphysically speaking, below and within the Aires in the overall cosmological geometry of Enochian magick. The Holy Table, containing the 7 Tablets of Creation, and connecting The Mystical Heptarchy & The 49 Good Angels with The Lamen. The Watchtower structure is probably the most familiar part of Enochian magick. It has been popularized by the Golden Dawn and its descendants. In fact much of the material presented in the initial degrees of these orders, such as the Lesser Pentagram and Hexagram Rituals10, are designed to prepare the student for working with the ultimate integration of the various symbols of Hermetic and Cabalistic magick that is the heart of the second order of the Golden Dawn11. This integration and correlation of symbols is sometimes naturally derived from the angelic communications, sometimes based on the geometric indications in the Dee corpus12 and sometimes the wholly synthetic creation of the chiefs of the Golden Dawn. There are significant problems with much of this synthetic material13, including the correlation of the Keys to the divisions of the Watchtowers, the derivation of angelic hierarchies and the directional mechanics of the Watchtowers themselves. These problems will be elucidated and some solutions offered in the analysis of The Watchtowers, which follows this introduction and overview. The Watchtower structure begins with the Round Table of Nalvage and progresses to the construction of the Watchtowers themselves, where the Calls or Keys are both related and divergent. The Watchtowers are themselves complex magikal figures from which lengthy hierarchies of angels can be derived. It should also be noted that the hierarchies thereof are related not only to the symbolism of the biblical books of Revelation and Ezekiel but provide geometric means of associating and conjuring various complex combinations of elemental, sub-elemental, planetary and zodiacal forces. In the chapters following, each of these divisions will be dealt with in detail and the mechanics and literature of each analyzed. This analysis will proceed, naturally, from the Watchtower hierarchies of the elemental realms of the Earth through the planetary spheres of the Sigillum Dei Aemeth and the various heptarchial structures related to it, to the aethyric realms of the 30 Aires. The divisions of the Aires will then be correlated back to their earthly junctions within the network of the hierarchies of the Watchtowers showing how each part of the system is a thread in the complex tapestry that makes up the structure of Enochian magick. All of the available literature and approaches will be explored, the logic and problems with each explained and some new hypotheses proposed. These will be elucidated by exercises that will lead students to a greater understanding of each part in turn. The student would do well to acquire either Geoffrey James’ Enochian Magick of John Dee and/or Robert Turner’s Elizabethan Magic and Heptarchia Mystica as a textbook of the system. Many of the axioms for understanding the logic of Enochian magick are derived from the works of John Dee14 and the Spirit Actions themselves15, so the student is advised to begin collecting this material, as they are able. Beyond that, the serious practitioner of the Enochian system will want to scrutinize many of the other contributions, but these will be dealt with in turn in the following overview. In order to fully appreciate and operate the intricacies of Enochian magick, a basic understanding of Euclidean geometry, astronomy, astrology, logic, grammar and the renaissance magikal point of view is vital. The student is encouraged to acquire a straight edge, compass and the books of Euclid16 and begin the process of construction indicated therein. Beyond that, some indications are given in the notes herein and in the material that will follow, but the student is left to their own ingenium to devise a course of studies that will fill in the gaps of knowledge and understanding as they arise. 1. The student of Enochian magick may find fruitful correlations between this thirty-fold structure and the 30 Aeons of classical Gnostic symbolism (cf. G. R. S. Mead, Fragments of a Faith Forgotten) and the developments of E. J. Gold in his New American Book of the Dead. 2. Aleister Crowley’s Vision and the Voice (Liber 418) is the classic exploration of this metaphysical realm, and though available in a variety of formats (including free and online) it is best represented in The Equinox Vol. IV: 2. 3. Some useful insights into this division can be found in Denning and Osborne’s Mysteria Magica, Gerald Schueler’s Enochian Magic: a Practical Guide and Salli Glasman’s exploration in the Kali Lodge Newsletter and her depictions on Schueler’s Enochian Tarot. 4. Camden’s Brittanica and E. Ashmole’s Order of the Garter both provide useful insights into this symbolism. 5. Agrippa’s Three Books of Occult Philosophy and the pseudo Agrippan 4th Book are essential to understanding almost every aspect of the Enochian magikal system. The Three Books have recently been very usefully edited by Donald Tyson. 6. Frances Yates’ Art of Memory and Giordano Bruno and the Hermetic Tradition are outstanding introductions to much of the metaphysical mathesis that underlies the structure of Enochian magick and particularly to Giordano Bruno’s related influence and influences. John Crowley’s trilogy Aegypt, Love & Sleep and Daemonomania offers interesting fictional speculations in regard to these relationships as well. 7. Wayne Shumaker’s Renaissance Curiosa is a good place to start to see the connection between mathematical trends in the Renaissance and its influence on the various movements in Hermetic Science. 9. The terminology used in Ptolemy’s Almagest, Tetrabiblos and Geographia is the basis of many of the chief logical proofs used throughout the primary source documents of Enochian magick. 10. Two examples will suffice to explain: The attribution of the elements to the Pentagram (air = upper left point, water = upper right point, earth = lower left point & fire = lower right point) is derived from the identical assignments of the elements in the Reformed version of the Great Table, of which the Watchtowers are divisions. Each of the 4 Lesser Hexagram forms has, in fact, 6 linear formulations and these in turn correlate to the 24 Seniors. 11. The elaborations of this material are numerous and can be found in works ranging from Crowley’s explanations in Liber 89 and Regardie and Zalewski’s various compilations to the simplifications and elaborations of Schueler and many others. 12. Dee’s Monas Hieroglyphic, Introduction to Euclid and Propaedumata Aphoristica each contain essential keys to understanding sometimes otherwise incomprehensible aspects of Enochian magick. Though these keys apply across the entire system, the Introduction to Euclid applies particularly to the Elemental system, the Monas Hieroglyphic to the Planetary system and Propaedumata Aphoristica to the Zodiacal. Several editions of Introduction to Euclid are available as is an outstanding Dover edition of The Elements of Euclid in 3 vols. Several editions of the Hieroglyphic Monad are also available including several online, but Josten’s translation in the periodical Ambix remains the standard. The Propaedumata Aphoristica exists as a workable translation by W. Shumaker under the title Dee on Astronomy. 13. Some of these problems are addressed by the Aurum Solis, by D. Tyson in his Tetragrammaton and Enochian Magic for Beginners and by various scholars of the Enochian system to be found on the Enochian Web Ring (http://members.tripod.com/~bzb/enochian/). Though workable many of the solutions to these problems are nearly as unsatisfactory as the Golden Dawn’s. 14. Vide supra nota 12, but also some analysis of this material is useful, esp. 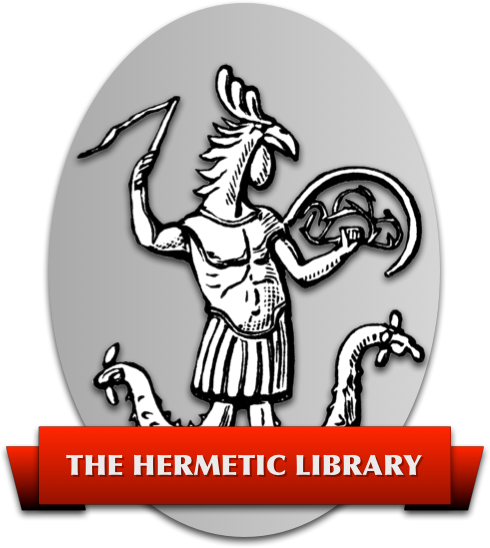 Nicholas Clulee’s John Dee’s Natural Philosophy, Ben Rowe’s Enochian Magick Reference (http:%%//%%hermetic.com/browe-archive/enochian.htm), F. Yates in The Rosicrucian Enlightenment and elsewhere in her numerous works, Peter French and Charlotte Fell Smith’s (http://www.johndee.org/) biographies of Dee and the Calder thesis (http://www.johndee.org/). 15. The Spirit Actions are divided into two main collections, the Liber Mysteriorum material and that presented by Casaubon in A True & Faithful Relation. The Magickal Childe edt. is the best of many of the latter. Christopher Whitby’s 2 vol. John Dee’s Actions With Spirits is the only complete edt. of the former though two incomplete and excellent collections of some of this material is available online, the John Dee Publication Projects (http:%%//%%hermetic.com/jdpp/) ongoing work in progress and the Center for Enochian Studies complete Mysteriorum Liber Primus and partial appendix (http:%%//%%hermetic.com/jones/the-center-for-enochian-studies/). 16. Thirteen Books of Euclid’s Elements, Thomas Heath (Ed.) 3 vols. It should be noted that the introduction to this edition has many details on the life of John Dee that will be of interest to the student of Enochian magick.